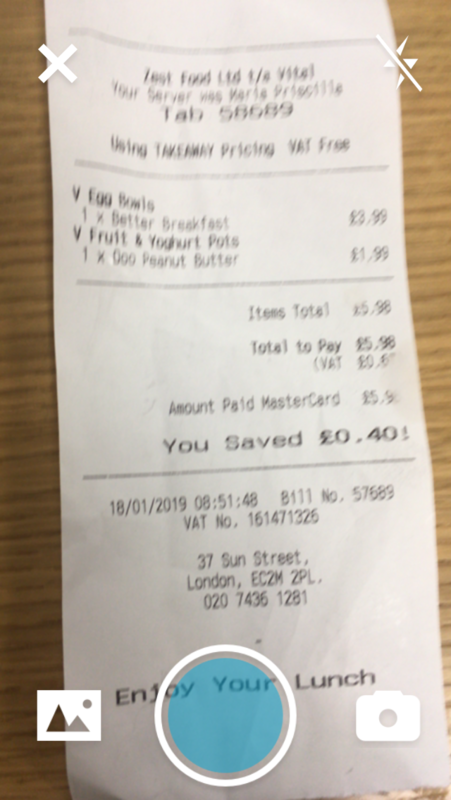 When I take a picture of a receipt with the App, the viewable area of the camera takes the whole screen. This makes it very difficult to center the receipt and make the best use possible of the picture area. Is there any way to fix this or have the App open the native iphone camera app to take the picture. Currently, I have to take the picture with the native camera app and then use the select from Album option to use the receipt. Hi @Everett, would you mind elaborating a little on what you're seeing/would like to see? Is it just that you prefer to have the picture taking controls outside of the picture taking area? I'd love to see an example of where this makes a huge difference for you! It may also be something to do with the XS/XR as I'm afraid I only have a lowly SE right now! Thanks so much for the feedback and for posting in the Expensify Community too though. As you can see the receipt is well aligned and almost no space is left on the side. 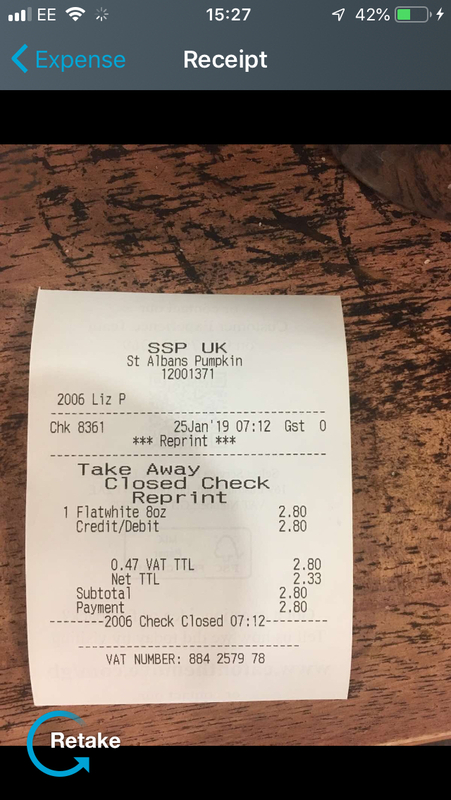 There is a lot of wasted space on the sides and when printing the report, the data from the receipt is not shown clearly since its not zoomed as per the picture taken view. Hope you understand now my question. It's not anything I think we've ever heard anybody raise before yet, and the image that's available in Expensify doesn't actually have any thicker bars than the native photo's app will show for the same photo as far as I'm aware. 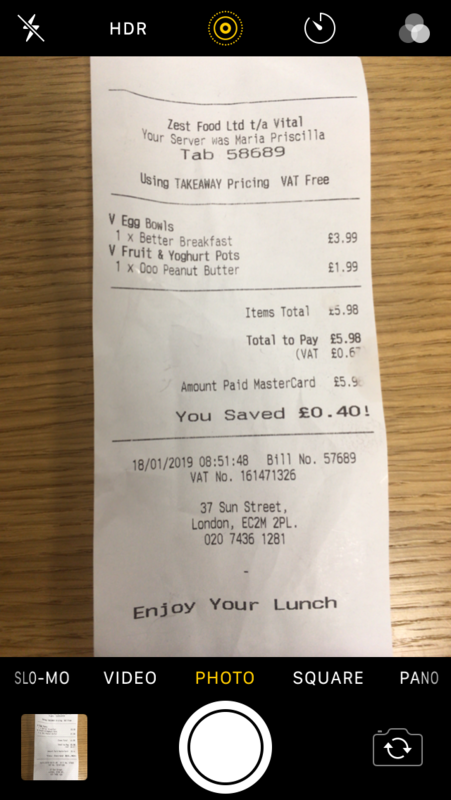 As it's more common in Expensify to use the receipt URL's when exporting to accounting software, these will always show the whole receipt as the image you captured, but because the PDF pages have to be a certain size, the extra space is filled, as it is with the extra space on the device screen.